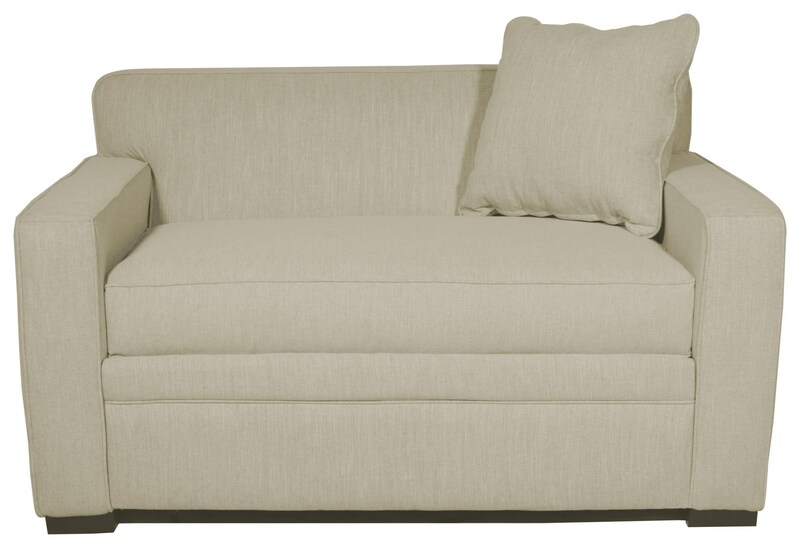 Add a casual style and incredible functionality to your living room when you bring home this queen sleeper sofa. Track arms and a tight back offer a clean look to this piece. Transform your living space into a guest room when you pull out the twin sleeper. With pillow top, memory foam, and inflatable innerspring mattress options, your guests will be able to get a great night's sleep away from their own beds. The Sleepy Twin Sleeper Chair by Jonathan Louis at HomeWorld Furniture in the Hawaii, Oahu, Hilo, Kona, Maui area. Product availability may vary. Contact us for the most current availability on this product. Sleepy is part of the Choices Sleeper program where you can select between a track arm, roll arm or a wedge arm. Then select a cushion back or tight back (as shown). Finally select your mattress (memory foam mattress is shown). You can also select between twin, full or queen size sleeper. The Sleepy collection is a great option if you are looking for furniture in the Hawaii, Oahu, Hilo, Kona, Maui area.